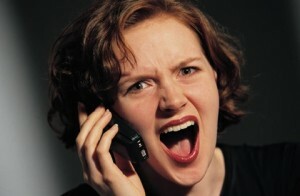 Home » Change Management » Let Them Rant! By the time I arrived on the scene, she wasn’t angry with her neighbor; she was angry at us for not helping her. I could have told her the officer was right and it was silly for her to be ticked off. But that would have just made things worse. So what to do with people like this? Let them rant. When they take a breath, repeat back what they said in our own words. Any counselor will tell you that repetitively explaining anger dispels it. You don’t have to fix anything. You don’t have to make any promises you don’t intend to keep. The important things is the angry person thinks, “Finally, I found someone who will listen.” It isn’t easy. … Allowing someone to rant and rave in your presence means giving them at least the illusion of control. It takes a lot of patience and fortitude.” Deal With Angry People, David Haynes, Bloomberg Businessweek April 22, 2012. I’ve used this kind of approach all my career. After hearing the person’s complaint or concern, I would repeat it back — with a bit of passion and in my own words. This almost always brought the person around to a more open mind because they finally felt someone had listened to them and understood their issue. This was often more important, finally being heard and understood, than getting things their way. Try repeating back their argument with conviction, even if you don’t agree with it, the next time you find yourself in a tough discussion. Surprisingly, you may now find yourself closer in agreement with them because you now better understand their position. How do you handle upset people when trying to get a project completed?